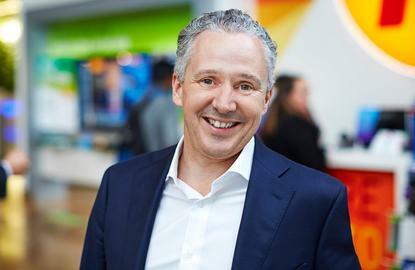 Telstra plans to later this year launch an ‘Innovation and Capability Centre’ in Bangalore, which the telco’s CEO, Andy Penn, today described as India’s ‘Silicon Valley’. Penn today announced the new centre during a speech at a CEDA event in Melbourne. “It also complements what we are doing here in Australia within Telstra Labs, Muru-D our accelerator program and our customer insight centres,” the CEO added. The telco has indicated it initially plans to recruit some 300 network and software engineers through the ICC. Telstra plans to keep recruiting locally for those functions, but competition for ICT talent in Australia is “fierce” and the nation is expected to have a shortfall of 60,000 workers in the sector over the next half decade, Penn said. Telstra in mid-2018 revealed details of its ‘T22’ strategy, which is intended to help combat, in particular, the financial impact on the company of the NBN rollout, as well as meet the challenges faced more broadly by the telco sector internationally. As part of T22, some 8000 existing roles at the company are going. However, the telco also plans to recruit for around 1500 new roles in areas such as software development, analytics, and cyber security. Penn said Telstra was committed to working with government and industry partners to build a bigger technology talent pipeline locally. “We need these capabilities now, but the fact is we cannot find in Australia enough of the skills, like software engineers, that we need on the scale that we need them,” the CEO said. The Telstra CEO also addressed immigration in Australia, which he said is “an often vexed issue and attracts an enormous amount of political and media angst”. Penn decried the “negative commentary” around immigration in Australia, as well as in the US and UK. “We need to build skills not walls,” he said. “An ongoing skilled migration policy is essential for Australia and essential for Telstra to attract and recruit the right talent and capabilities we need to transform and compete effectively on a global stage,” Penn said.